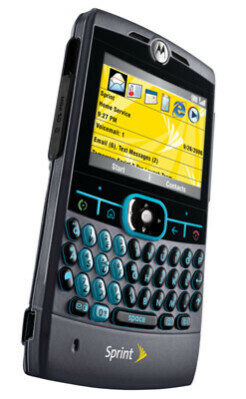 Some new unofficial photos show that the popular slim smartphone - Motorola Q will be available soon with Sprint PCS, after it had been offered for months with the rival  Verizon Wireless. 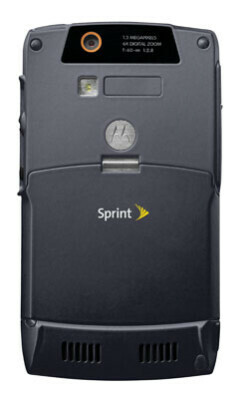 The version for Sprint PCS has the same hardware and software, but it has the carrier's logos over it and comes preloaded with yellow Sprint theme. The improvement over the Verizon version is that this one is black, instead of silver, but the biggest CDMA carrier will also get one in future. 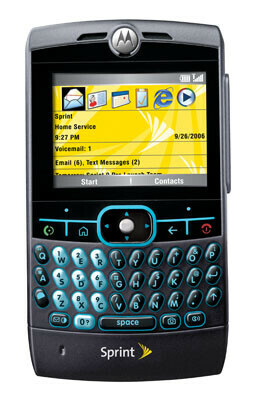 The Motorola Q is half-inch thick Windows Mobile based Smartphone with QVGA landscape display and full QWERTY keyboard. It features miniSD slot for memory and megapixel camerea with flash. Still there is no information on exact launch date, but the rumors say it will be available for purchase for the holidays or at the beginning of the next year.